Degree in Economics. MBA at IESE and Instituto de Empresa. NLP Master Training at NLP University (Santa Cruz, CA). International Certified Coach and Business Coach by the ICC. 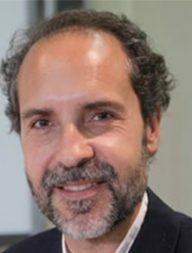 In 2006 he has changed his 14 years career as executive at BBVA for the profesional practice of coaching, having held positions of regional director, among others. He has coached executives and politicians and consulted organizations for 5 years. He trains coaches as an official ICC trainer from Spain. Certified in Developmental Assessment by IDM (Gloucester, MA), he is the Spanish translator of the work of renowned researcher of human development Otto Laske. Scientific Committee Coordinator of the “Xornadas Internacionais de Coaching” 2009, 2010 and 2011 (Santiago de Compostela), one of the most important coaching events in Spain. Mr. Sugii has been coaching for executives in glove since 1995 and founder of coaching company Gledis, Inc in Japan who is a partner of ICC Lambent UK as executive coaching. Gledis has a Japanese ICC certified coach training course for Level One and Executive Coaching along with global consultancy course. 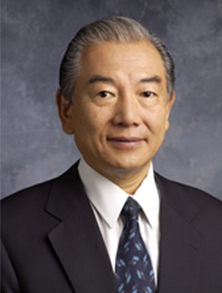 Mr. Sugii has his CEO experience with many NASDAQ company such as Baan, Inc ERP: US/Netherlands, Artemis ISCS Project Management: UK/US, Portal,Inc Telecommunications: US, etc in his 40 years career as an active executive. He is an Invited Professor at San Francisco State University, and lives in Tokyo. Gledis is serving coaching and consultation not only in Japan, but other Asian countries and Europe. Alexandra is an entrepreneur passionate about working with people. She is graduated in Chemical Engineering and post graduated in Business Sciences with a specialization in Entrepreneurship. During sixteen years she developed her work on the technical and sales field, consultancy and training of teams in companies from industrial and services sectors, working directly with people and their daily challenges. Alexandra embraced the fascinating profession of Coaching and is certified by the ICC – International Coaching Community as International Certified Coach and as the ICC Trainer for Portugal. She is a Certified Systemic Coach with the Methodology of the Organizational Constellations by the Talent Manager and attended the IDM – InterDevelopmental Institute Program to learn the dimensions of the Constructive Developmental Framework (CDF) as a powerful tool in assisting and developing people in organizations. She is a Certified DiSC Trainer and applies the DiSC tools to support her coaching work on present behavioral awareness and on the potential desired change by clients. She is Coaching Professor in Higher Education University integrated in the Executive Master of Science in Human Resources Management. Alexandra is Partner at Premium Coaching – a coaching company working in Life, Executive, Business and Team Coaching with national and multinational companies to facilitate the insights of leaders and teams about the solutions they find for themselves. 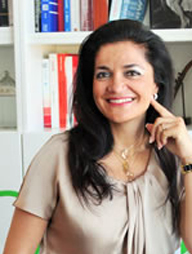 She is President of the Board of Directors of Approaching – Associação Portuguesa dos Profissionais de Coaching in Portugal and co-founder of the Approaching in Spain – Asociación de Profesores y Profesionales del Coaching y Mentoring. Alexandra is a motivational speaker in International Congresses and Conferences in the area of Coaching and Public Speaking. She is recognized by the TI – Toastmasters International as a Competent Communicator and a Competent Leader and she is Past President and co-founder of the MBTC – Mind Business Toastmasters Club, a non-profit club of the worldwide TI organization to facilitate the training and development of communication and leadership skills of business people. Alexandra is a writer and likes to communicate, read and is a fan of tap dancing and also of the magic of the Cirque du Soleil. She is a volunteer in the community applying her voice in reading books that turn audio books and articles at the Project Gaia Inclusiva, a service of reading and cultural promotion for people with special needs. 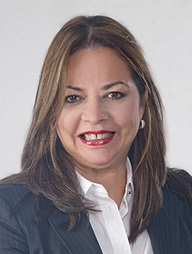 Executive Director of Perfiles & Competencias, a Dominican company specialized in Coaching and training for individuals, companies and organizations. Member of the Board of Directors of the International Coaching Community. She has a degree in psychology and a master in industrial psychology. She has worked in human resources management for over twenty years. She has experience in building human talent in tourism and hospitality industries, the most important part of the economics of the Dominican Republic. She has led educational projects from various important universities, for the Development of human resources for nationals and internationals hotels companies. She worked for the German Agency for Technical Cooperation (GTZ) for capacity building of human groups. She has worked for the European Economic Community in the development of team skills and empowerment de socially disadvantaged groups, using the Community Coaching® model which allowed the development of micro and small businesses. • Coach Trainer Certifier for the International Coaching Community. • Trainer for Lambent do Brasil for their international programs. • International Coach, Certified by the ICC and Lambent do Brasil – Joseph O’Connor and Andrea Lages. • Team Coach Certified for the International Coaching Community. • Member of the International Coaching Community. • Certified in dynamic accelerated learning and training management. • NLP Certified, Society of Neuro-Semantics, USA. • Certified in the training system of Everything DiSC System. • Founder and president of the Society of Coaching of the Dominican Republic. Together with Isabel Rimanozcy, she is one of the co-founders of Minervas: Women Changing the World, a global nonprofit entity that aims to develop sustainable women initiatives. Sonia is trainer to the following topics: Capacity Building Management, Leadership, Coaching, Customer Service, and Development of High Performance Teams, among others. Executive Director of Coaching Positivo (Positive Coaching), Salvadoran company specializing in Coaching, Team Integration processes and Change Management. International Coach and Trainer certified by the ICC: Introductory Courses to Coaching and International Certification in Coaching. International Trainer for Lambent do Brasil programs. Member of the International Coaching Community. 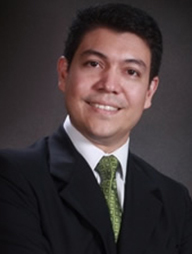 Founding director of the Coaching Association of El Salvador. Angel has the knowledge to apply and interpret Psychometric Behavioral and Emotional Intelligence tests (Classic Disc 2.0, Six Seconds, based on the Goleman model). Has run, facilitated and monitored Strategic Planning processes and Strategic Value initiatives. Has a degree in Business Administration from Preston University, USA, and a Master’s degree in Finances, specializing in Project Management and Administration. – Effective Communication (Dale Carnegie Training Center). – Demand Planning and Management Methods (El Salvador’s Chamber of Commerce). Executive Coach, motivational speaker, writer, empowering individuals and organizations to transform getting the results they want faster and better. 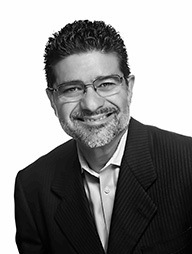 Guillermo Mendoza is a certified International Executive Coach by the ICC and is a member of the ASTD (American Society for Training and Development), Houston Chapter. He worked for ten years for Microsoft, developing a successful career as General Manager for the Caribbean and Central America region including opening subsidiaries in Costa Rica, Guatemala and Panama. He then worked as independent consultant for many companies including Microsoft Mexico, the BSA Business Software Alliance, Crestron, Multimedia, and Visionaria Business Development. As CEO for SeguriData, the leader software company in electronic signature, he helped achieve the National Technology Award in 2005 given by the Mexican Government. He later joined Grupo Multimedia, a leader in Audio/Video in Mexico as General Manager working with business units for home automation, consumer electronics, corporate and residential A/V Integration and electronics wholesales. Guillermo contributes to the development of executives and businesses with a dedicated focus on EXECUTION; making things truly happen in organizations and move effectively towards goals with concrete results, one of the biggest challenges faced by organizations today that he helps to solve. Guillermo’s mission is contribute through sharing with coaching, workshops, consulting, public speaking and writing to help people and companies better their transformation, achieving higher levels of well being, abundance, balance and happiness. He delivers trainings in English, Spanish and Portuguese.